East facade of 320 Wythe. 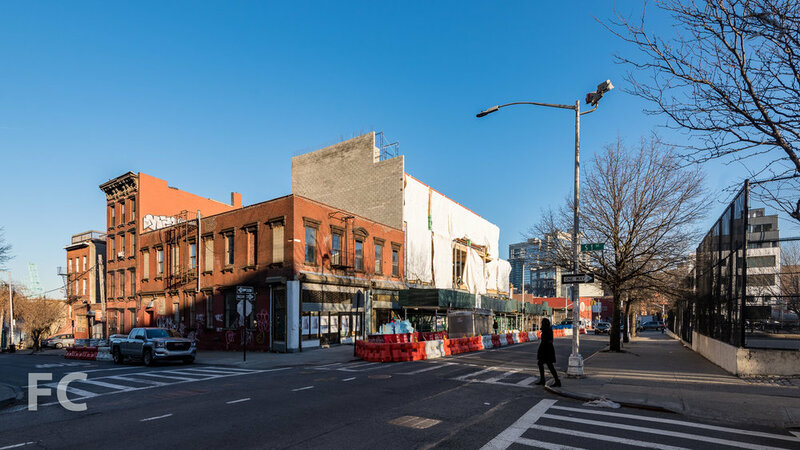 Construction is underway on 320 and 360 Wythe Avenue, two heavy timber buildings in the Williamsburg neighborhood of Brooklyn. Designed by Flank, a design and development firm, the two buildings are the first brick and beam structures to be built in New York City in nearly a century. 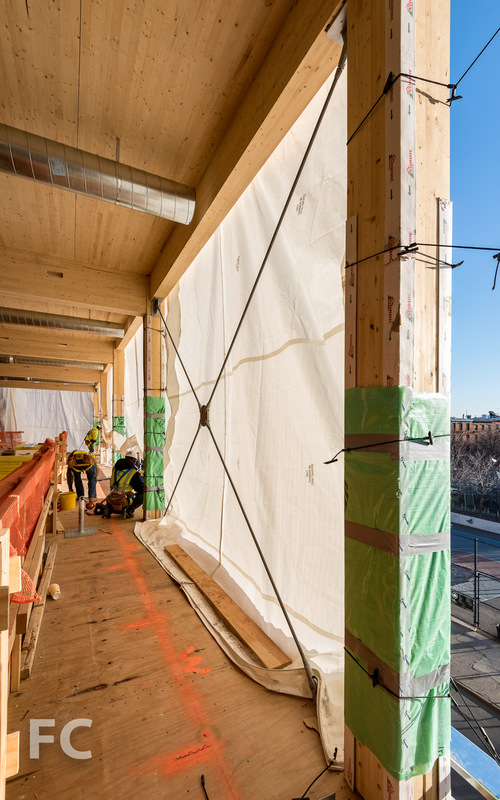 Both buildings are built with a heavy timber structure on a concrete foundation, with 320 Wythe's three-story timber structure completed in a matter of weeks. 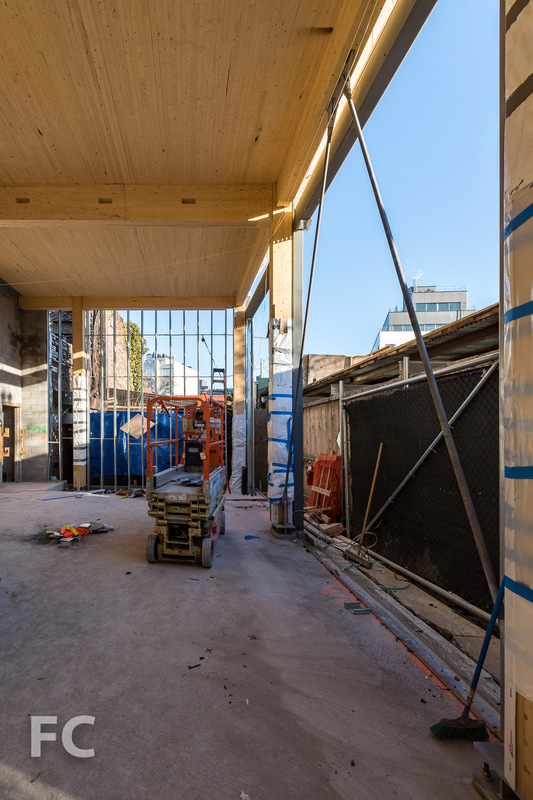 In the coming weeks, the brick facade will be installed, which is required to be independently supported off a secondary structure. Southeast corner at 320 Wythe. View to the north from the rooftop of 320 Wythe. Third floor interior of 320 Wythe. Ground floor at 320 Wythe. Looking south on Wythe Avenue towards 360 Wythe. 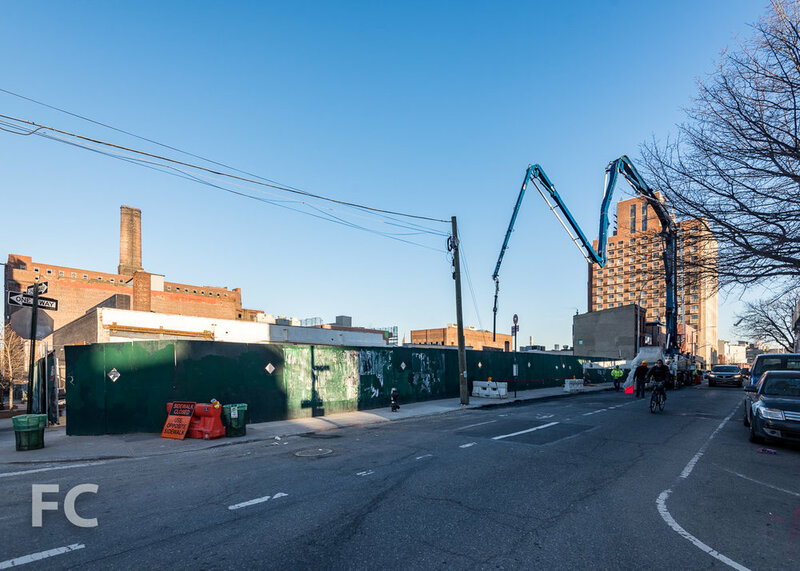 Foundation work is currently underway on the larger four-story structure of 360 Wythe, which will offer retail, office, and residential square footage. Northeast corner of the 360 Wythe site. Foundation work ongoing at 360 Wythe. Southeast corner of the 360 Wythe site. Architect/Developer: Flank; Program: Office, Retail, Residential (360 Wythe only); Location: Williamsburg, Brooklyn, NY; Completion: 2018.